May’s days have been numbered ever since the general election but, if she’s clung to office until now, it is because with the fiercest Brexit battles still to come then few potential Conservative leaders would want to willingly toss aside their human shield. Growing discontent among the Tory ranks over her handling of Brexit, however, has left May’s government looking more perilous than ever this week and Sir John Curtice’s prediction that the Tories could lose more than half their London boroughs in May’s local elections will have done little to shore up party faith in the ailing prime minister. As a Labour candidate, if I am elected on May 3 then one of my proudest moments could well be contributing to the downfall of the prime minister. That May will be ousted before the next general election is an almost foregone conclusion – the question is simply when. But what comes after will be nothing to cheer. I have never been more confident that after the next election, we will have a Labour government under Corbyn but, before that happens we will most likely see May’s successor crowned the next prime minister. And given it is the hard-right of the party whose knives are the sharpest, the next prime minister is likely to be the hardest of hard Brexiteers who will look to crash us out of the EU with no regard to the economic impact and no consideration for human rights, workers’ rights or environmental protections. 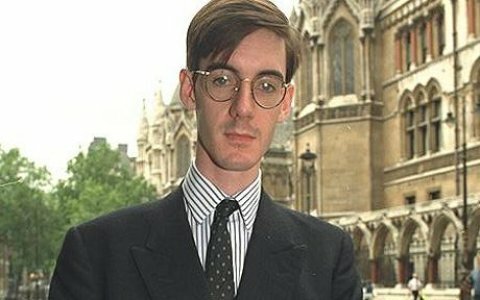 Someone, like current favourite Jacob Rees-Mogg, but obviously not him because he’s Jacob Rees-Mogg. When that happens, the Overton window on Brexit will shift further to the right. Corbyn must resist the overwhelming pressure to chase after it, just as he has resisted the received Westminster wisdom on countless issues from PFI to the Iraq War and had history prove him right. When we see Labour offering a genuine living wage, pledging to renationalise the railways, offering to house every single homeless person in the country, we know there is someone with a vision for the future that is markedly different from the Tories – kinder, fairer and altogether more decent. We have yet to see that clear red water on Brexit. When May falls, more than ever Labour will need to present a clear alternative. We’re beginning to see some signs of this, with Corbyn’s planned “away day” to re-examine Labour’s Brexit strategy potentially signalling a shift in policy to back membership of a customs union with the EU. And we know that Labour would seek a more humane version of Brexit, rather than the bonfire of the rights that will be foisted on us by May and her even more intransigent successor. At the end of the day, Labour’s policy still remains only a slightly softer version of the Brexit the Tories are offering. So far that has been enough to convince many Remainers to default to Labour, but if the complacency of the New Labour years has taught us anything, it’s that voter goodwill can only last so long unless we provide a clear alternative. The majority of British people do not want a hard Brexit. As sister publication Left Foot Forward revealed last this month, 60 per cent of people believe Britain should remain in the single market, including 71 per cent of Labour supporters. Given many Labour heartlands outside London voted to leave the EU, Corbyn cannot come straight out and say that Labour’s policy is to cancel Brexit, but this polling should give pause for thought as to whether it’s wise to abandon the single market at the same time as leaving the EU. Another crucial poll that should have a bearing on the Labour leadership’s thinking revealed a clear majority (58 per cent) in favour of a second referendum. Much to the chagrin of Remainers, Labour might not be able to overturn Brexit in parliament, but offering a second referendum on the terms of departure would provide a clear alternative. Speaking on the Andrew Marr Show on Sunday, Corbyn ruled out a second referendum, declaring that “ship has sailed”. As a Corbyn supporter, I hope he finds a way to turn it back around. Even without the lies and misinformation spread by the Leave campaign, it was never clear exactly what people were voting for. There were many different competing visions of Brexit and the one that will be ultimately delivered by the Thatcherite Tory right will be far from anything any Labour supporter could ever want. Corbyn has a chance to avert that, and give voters the chance to decide for themselves, by offering a second referendum after a deal has been negotiated. It would provide a clear choice between the Conservative Brexit and remaining in the EU. He may be reluctant to do so for now. He may prefer to wait and watch the Tories tear themselves apart over Europe as they have done countless times before. But when May falls, Corbyn will be the only person standing between us and a prime minister who is determined to deliver the most punishingly hard Brexit. Now is the time for Labour to show that there’s another way. Salman Shaheen is a council candidate, chair of Isleworth & Brentford Labour Party and co-founder of Another Europe is Possible.